As we hurtle towards February 14th, we can’t help but notice everything’s getting a bit pinker and bit more soft and fluffy, a bit more heart shaped. Even Japan Centre! What gives? Valentine’s Day is a popular event in Japan and even though it originated in the West, Japan has some special customs to celebrate the day! 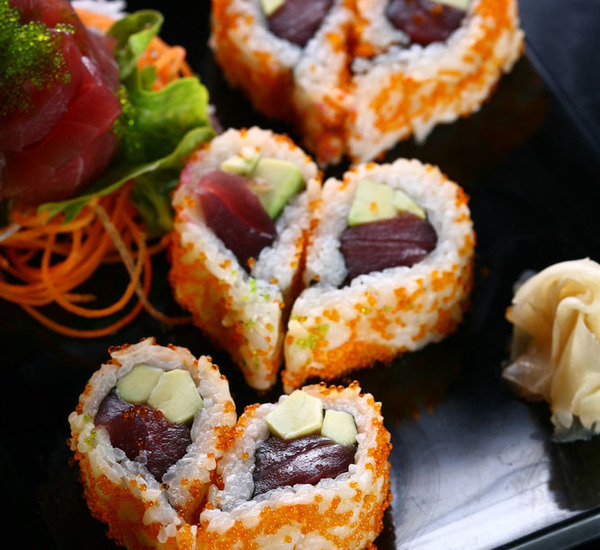 So whether you’re looking to get loved up Japanese style or say ‘bah humbug!’ to Valentine’s but want to learn something new, join as we take a stroll down romance lane to discover how Japan says ‘I love you’ on Valentine’s day! Guys Only! No Girls Allowed! In the U.K. Valentine’s gifts can be pretty much a two way street, in Japan however, tradition is for women only to give chocolates to the men in their life on Valentine’s Day. What’s more it’s not just limited to the cutie you’ve been staring at the coffee shop for the past week. Dads, friends, classmates, even co-workers may expect to receive a little bit of the sweet stuff. 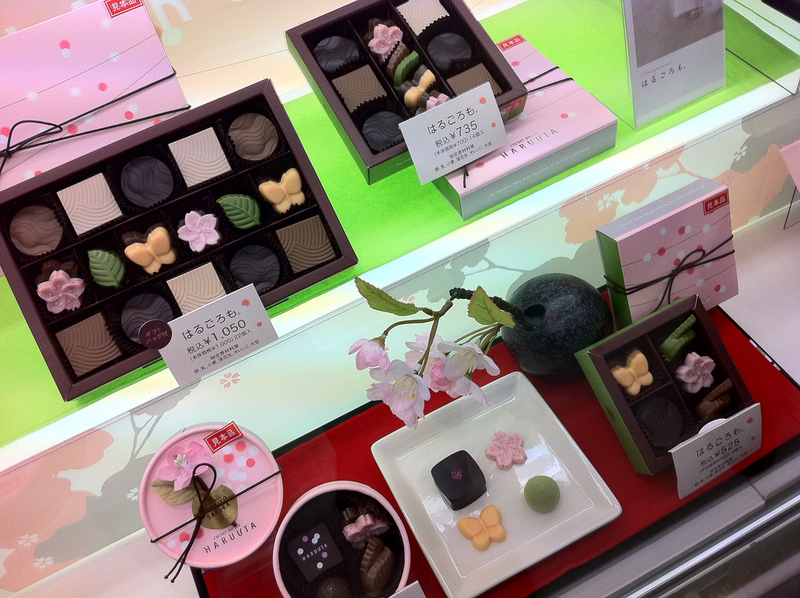 To further complicate matters this chocaganza is divided into honmei, tomo and giri-choco. Giri-choco or obligation chocolate is the not too fancy stuff you hand out to acquaintances that day (also a boon to flatmates when your friend comes home with a whole sackful of chocolate they couldn’t give away!). Anyone you want to say ‘thank you’ to or just tease a little bit, give them giri-choco! Tomo-choco are those you gift to your bezzie mates or brochachos because they’re cool! Honmei, on the other hand, means ‘true feelings’ and is the stuff you save for your one and truly. But be careful, if your giri-choco looks a bit too fancy you may just get an unexpected suitor! Although we’ve heard about at least one happy ever after couple that met this way, aww. Not all Valentine’s gifts are limited to chocolate. Less chocolate centric gifts like whisky or wine can be popular too, many people also choose to cook or create something special of their own. Friends may decide to team up and to make and decorate chocolate together for fun. In Japan people may not have an oven or specialist sweets kit, or just may want to keep what they’re cooking up a secret from someone special, so cooking schools are a popular choice to for whipping up special items for Valentine’s Day too. So after all that effort, slaving away over hot chocolate do ladies really get no love on Valentine’s Day? Well, White Day one month later on March 14th is when any Valentine’s gifters are supposed to have their efforts returned in the form of a gift of their own. Not necessarily white chocolate (despite the name), although it is a popular choice, but cookies too or other less foodie gifts. However if you’re thinking of blitzing friends and acquaintances with chocolate in the hope of getting something even better back on White Day beware! Most people don’t get the favour returned from all their acquaintances, so make sure you don’t go too overboard lest you be disappointed in March. Whether we’ve inspired you to celebrate Valentine’s Day Japanese style or you’re satisfiedly single, we hope you enjoy your Valentine’s Day! 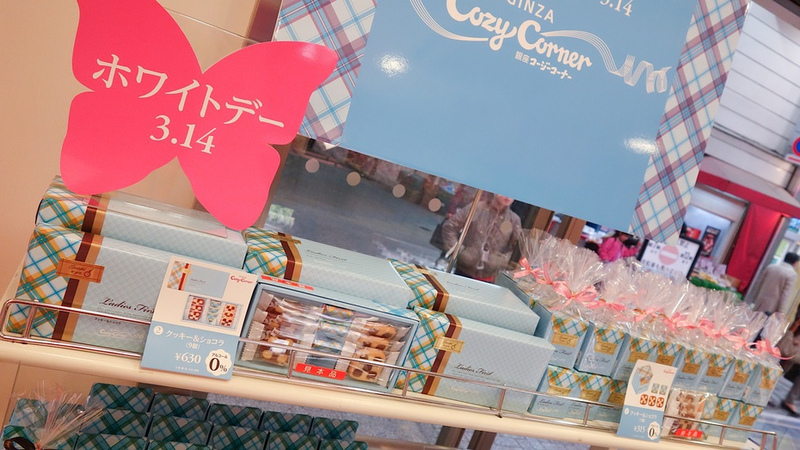 If you’re looking for cute gifts or recipe ideas or kits for a romantic dinner Japan Centre has you covered. What are your Valentine’s traditions? Are you going to be cooking up something special? We want to know! Thanks to kimubert at Flickr for the chocolate display image. Thanks to くーさん at Flickr for the monja image. Thanks to Danny Choo at Flickr for the White Day image. Thanks to Einharch at Flickr for the handmade chocolate image. 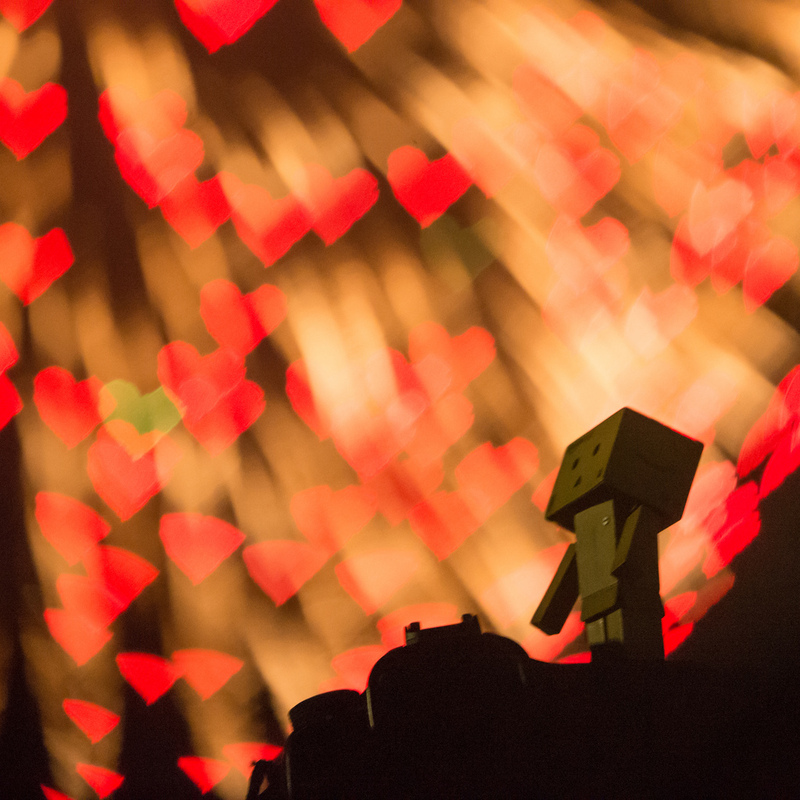 Thanks to Takashi(aes256) at Flickr for the Danbo & hearts image. Posted in Uncategorized and tagged Valentine's Day. Bookmark the permalink. I was lucky enough to have been in Japan for Valentine’s this year and the lines were out the door of people (mostly women) buying chocolates! For some reason, the prime brand was a European one bearing the name of a famous Coventry lass who rode the streets in the nuddy. There were whole displays made of chocolate and sweets like a town and everything was decorated with Valentine’s balloons. They really do push the boat out! Gotta love Japan!